You will already know by now (if not, why not) that the aesthetics of The Matrix is back, and pretty much everywhere in fashion. The latest label to champion turn-of-the-century-sci-fi-minimalism is eyewear brand Ace & Tate. 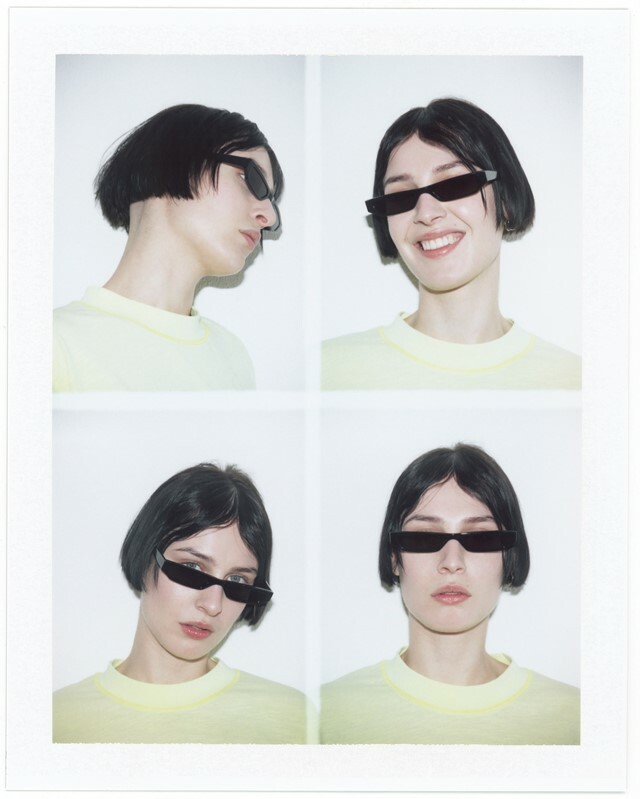 Working in collaboration with menswear label CMMN SWDN, the two have created a unisex eyewear collection fit for fans of the film, and all late 90s/early 00s revivalists (so, basically everyone). Taking the sci-fi theme and running with it, the new SS18 styles are named after The Matrix’s Neo, and Pris from the 1982 film Blade Runner. With geometric silhouettes, barely there arms and narrow lenses that are largely metal rimmed and black, mustard or crimson tinted – they look just like ones worn by the likes of Trinity and Morpheus. The new collection is revealed in a hazy film shot by photographer Vitali Gelwich in Berlin. Amid dystopian urban landscapes to create a post club night, sun-just-about-rising kind of atmosphere, it nods to the youth subcultures that the collection also takes inspiration from. The film is also accompanied by polaroid-looking campaign imagery, complete with faux light leaks and abrasive flash to round off the 90s-centric aesthetic of the collection. Models are shown sporting neon-accented clothes, sharp-edged haircuts and a pair of the SS18 glasses – which complete each look. If you weren’t already desperate to get your hands on a pair, you will be once you see how they can elevate any outfit from sub-par to rave-ready. The only thing left to do now, is plug in. Sign up for early access to the collection on the Ace & Tate website.